Today’s news review looks at calls for Female Genital Mutilation (FGM) to be taught in schools and term time holiday campaigner, Jon Platt’s new website offering his services to help parents recoup school fines. On Monday, 6 June, the father who won a high court case over taking his daughter out of school during term time was interviewed on Radio 4’s You and Yours about his plan to help other parents claim back term time holiday fines. The Daily Mail has followed up the story today which calls the ruling a ‘landmark victory’ and claims that Mr Platt is demanding councils reimburse the wrongly imposed penalties. The story is also running online on BBC online, The Telegraph and ITV News. We are clear that children’s attendance at school is non-negotiable. We are disappointed with the High Court judgment. 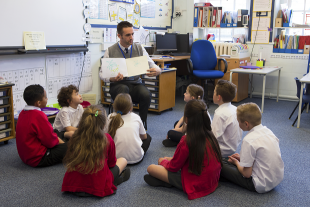 The evidence is clear that every extra day of school missed can affect a pupil’s chance of gaining good GCSEs, which has a lasting effect on their life chances. We are confident our policy to reduce school absence is clear and correct.‎ We are examining the written judgment in detail to decide the way forward, but we are clear that children’s attendance at school is non-negotiable and we will take the necessary steps to secure. This morning Sky News ran a story featuring an interview with campaigner, Muna Hassan, calling for the compulsory teaching of FGM in schools. Muna says that making the issue a compulsory subject in PSHE lessons will raise awareness of the practice and ‘empower the discussion of these issues’. Our position is reflected on the Sky News website which makes clear that the practice of FGM should not be tolerated and the department is committed to raising awareness of the issue within schools including through PSHE lessons. We are clear that we expect all schools to teach PSHE and we trust teachers to tailor their lessons to best suit their pupils. We are focusing on raising the quality of PSHE teaching and working with leading head teachers and practitioners to look at how best to achieve this. Through our Innovation Programme, we have also provided over £2 million funding for Barnardo’s and the Local Government Association to back a special outreach scheme for girls and young women at risk of FGM. In November the Government awarded £25,000 funding to the Freedom Charity to expand their FGM Train the Trainers project to a further eight schools in the UK, reaching 4,000 pupils and 800 staff – this builds on the 35,000 pupils and 1,000 staff already engaged with the charity. FGM is an abhorrent crime and will not be tolerated – it can destroy lives and cause extreme and lifelong physical and psychological suffering to women and girls. The Government is committed to ending this abusive and illegal practice in the UK, and have funded the Freedom Charity to help train teachers to recognise the signs of FGM. We have taken bold action to ensure that awareness of FGM is greater now than ever before, and have strengthened the law significantly to better protect victims and ensure perpetrators are brought to justice. We have given schools the power to decide exactly how they address Female Genital Mutilation (FGM). This can include raising awareness through high-quality PSHE lessons, creating an open and supportive environment, where appropriate. The Government has also worked with the PSHE Association to develop a section of their website dedicated to FGM, which provides a range of guidance and resources for teachers and schools. To help schools raise awareness of FGM we worked with the PSHE Association to publish guidance for teachers and schools on how to teach FGM in PSHE lessons, the guidance can be found here.